26 Acre Show Farm: Amazing opportunity in the heart of NW Marion Horse country, here is a working farm with all the conveniences to make it a success. 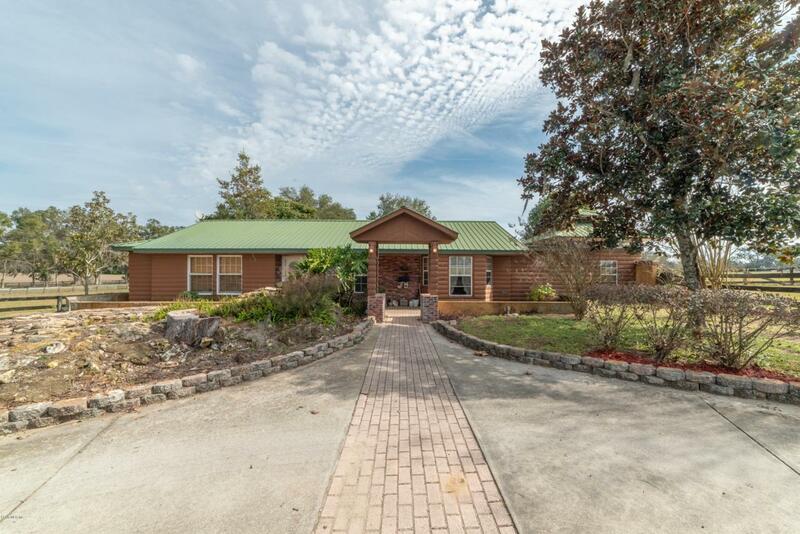 Wether you are Eventing, Jumping or doing Dressage, this could be your new Ocala base. Features a rustic 3/2 home with huge bedroom, vaulted ceilings and stone fireplace, kitchen has hardwood cabinets and crown moldings. In ground pool and great office with a cypress wood panelling. 18 stall stately block barn with center isle & automatic waterers and fans, huge covered work and storage area, 4 extra large sized stalls, small barn apartment and bath.Great views, riding area and a well maintained 3/2 DW mobile home to house help or rent out. Lots of paddocks for turn out , great location near many of the new equestrian venues.